Gatlin – a leafy, affluent town: Chelsea tractors and ladies who lunch. However, all is not as it seems. Drea, a most unnatural mother, struggles to find private school fees for her step-daughter Ava after her boyfriend leaves her for another woman. Can Drea survive the fallout and the wrath of the PTA? 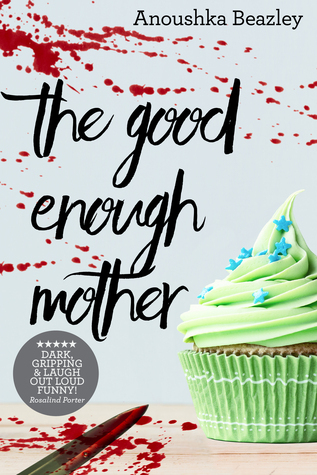 A satirical black comedy about love, motherhood and the human condition. When I was offered this ebook to review, I was upfront and let the author know that I wouldn’t be able to provide a review before the middle of February. That was, in hindsight, very conservative. I wasn’t able to start reading it until the end of February and this was followed by an unplanned 8-month hiatus. I noticed something weird was happening after I started reading. I was enjoying the story so much that at the 65% mark I started subconsciously sabotaging any effort to finish it. It wasn’t so much the story that I didn’t want to end, it was my time with Drea that I didn’t want to come to an end. She is frank, quirky, crazy and I wouldn’t want her babysitting my children. But I couldn’t get enough of her. I absolutely loved her attitude. I cannot remember the last time I laughed out loud as often as I did reading this story and at her antics. At times it wasn’t appropriate but I didn’t care. She said things that I have crossed my mind. Drea was thrown into a situation and could have easily washed her hands of it – Ava’s not my daughter, not my problem. She didn’t. She realized that providing stability for Ava was the utmost importance, she identified the biggest obstacle to that stability and she vowed to resolve it. As best she could. I loved that Ava wasn’t all angsty and didn’t hate Drea. This isn’t something that I would have picked up if it was for a couple of reviews from people I trust and for that gorgeous cover. If you like dark, funny, and an unexpected good time, then I highly recommend you read this. My thanks to the author for a copy of this book in exchange for an honest review. My apologies for having taken so long.